Abbey Road's mastering services are available to everyone. Abbey Road Studios is best known as a world-famous recording facility, but it also offers a range of professional mastering services. The expertise of Abbey Road's award winning engineers is now within reach thanks to their online mastering service. 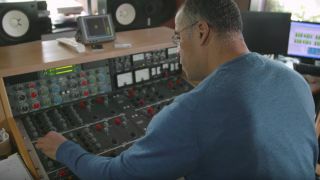 To help you better understand the process, the team at Abbey Road has put together a series of six short videos that give an insight into how to prepare your music for mastering. You can watch the Making Sense of Mastering series below. Check out the Abbey Road Studios website for more details. 1. What is a DDPi production master and why do you need to create one? 2. What is an ISRC code and why do you need one? 3. Do you need to produce different versions of a track for different uses? 4. What is sibilance and how can you fix it in a mix? 5. Is excessive limiting bad for your mix? 6. Should you remove all processing on the main mix output before mastering?